7 Comments on "Red Cabbage Rolls"
Jenny your recipes,,,,are so simple, beautiful looking, and so nutritious…just what ‘the doctor ordered’……i will be eating many more of them. And you are fun tzo watch on u tube. So,genuine and funny at times. Thanks for sharing and making my life happier….hugs juniebeth from Nova Scotia. Canada…. I think I would try two things – either microwave them or freeze them and it’s possible one of those might soften the cabbage. Thanks so much for your sharing about cooking and I do like your personality a lot.Related to cabbage rolls,I saw some people do this with pickled cabbage,do you know how to pickle cabbage for making cabbage rolls?my husband (he’s Croatian by the way) loves cabbage rolls ( called “sarma “) his mum used to make and I’m trying to do as close to the original as possible.Hope you can help me.Thank you so much.Wish you all the best always. 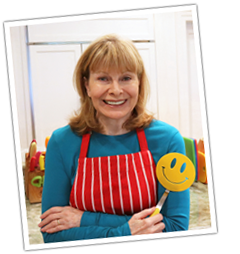 I want to say thank you so much for all the wonderful recipes. it was very hard to find great recipes with great family stoires that is from Poland or have the Poland background. 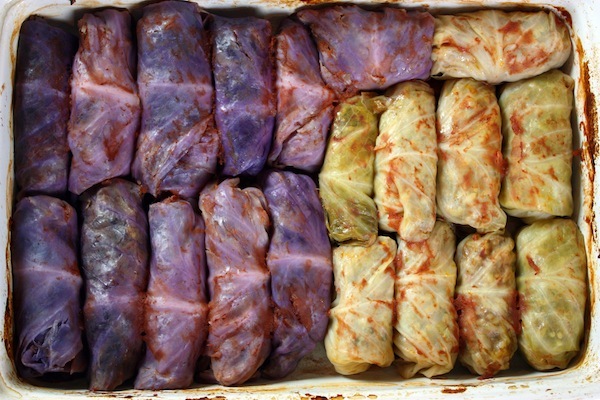 I can’t wait to making these cabbage roll! Jenny, Your Cabbage Roll recipe is fabulous. Here’s a reduced fat twist substitute the ground sirloin and long grain rice with KASHA (Buckwheat medium oats) cooked in beef broth, onions and peppered to taste and allowed to cool overnight in refrigerator). I’ve made Cabbage Rolls using this method and have received standing ovations!